Beefy + Cheese = One tasty treat. 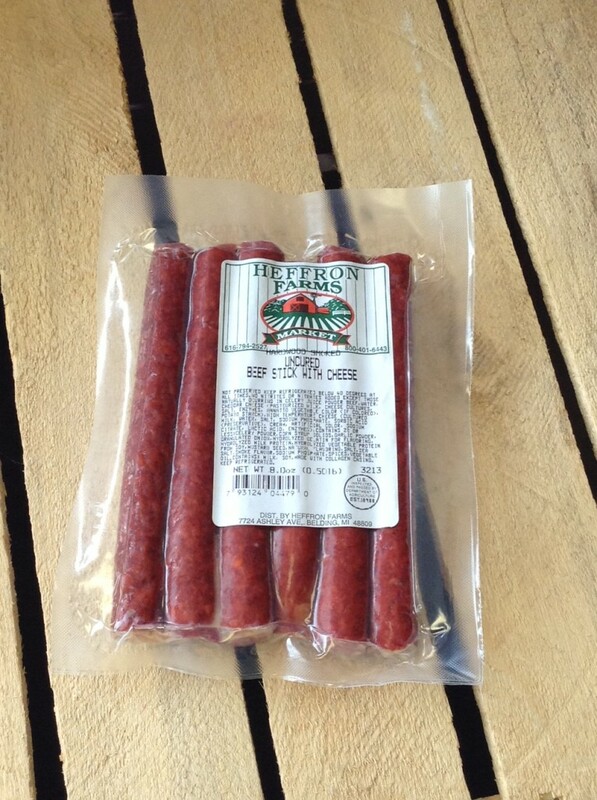 Our all natural Beef Sticks WITH Cheese are to die for. This best seller is great for your whole family to enjoy. Order one of our Beef & Cheese Sticks today. Beef & cheese sticks come in 8oz. packages. This is absolutely the BEST Bacon! Our Uncured bacon is smoked and processed without nitrites or nitrates. It’s BBQ time. Throw these ribs on the grill, slather with BBQ sauce and dive in! Exceptional for a tender, moist, fork tender meal, that only takes minutes. Save on time, do as we do and toss them in the crock-pot and let it do the work. Try our all natural free range chicken wings. Serve with a hot sauce or great for barbequing! Approximately 10 wings per package.